Oklahoma Connection | Ellis moved to Oklahoma City, Oklahoma, with her family at the age of seven. Nancy Payne Ellis became the chair of the advisory board of the Payne Education Center, which trains teachers to help children with dyslexia. A native of Arkansas, Nancy Payne Ellis is a graduate of Oklahoma City’s Harding High School and attended Oklahoma State University. 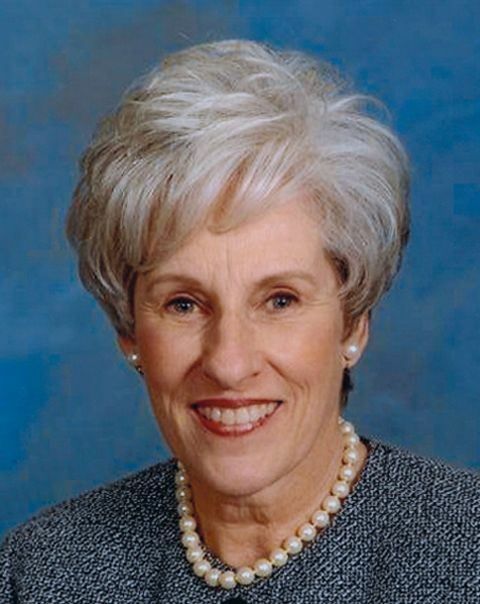 At various times her wide range of activities include serving as trustee of the Presbyterian Health Foundation for 20 years, Mercy Hospital Advisory Board, and chairman of the board and lifetime trustee of the Oklahoma City Museum of Art. While chairman of the board of the Oklahoma City Museum of Art, the Museum raised $40 million and built a new facility in downtown Oklahoma City. Ellis has served on the board of trustees for the Dean A. McGee Eye Institute as well as on the board of its foundation. Ellis was the first chairwoman of Oklahoma State University Foundation board of directors. She was inducted into OSU Alumni Hall of Fame in 2004 and was awarded the OSU Philanthropist of the Year in 2014. Ellis also served as co-chair of the Oklahoma State University capital campaign. She was a founding member of the Payne Education Center, which trains teachers to teach children with learning differences. A founding member of Heritage Trust Company, Ellis served as chairman until she retired in 2005 as chairman emeritus. The Boys and Girls Club of Oklahoma County honored Ellis as a Champion for Youth in 2012. Ellis received the National Crest Award for Pi Beta Phi Sorority for Distinguished Alumnae Achievement in 2000. See pictures of Nancy Payne Ellis and other media HERE.